Are Your Headaches Due to Low Vitamin D? Have you heard your friends talking about their vitamin D level? Did your doctor check your level at your annual checkup? While vitamin D plays a role in bone health, there is inconsistent data on its role in other medical conditions, such as heart disease, autoimmune diseases, cancer, and pain disorders, like chronic pain and headaches. Cholecalciferol (vitamin D3): derived from ultraviolet light ("sunlight") penetrating the skin and present in oily fish, such as salmon and tuna. Ergocalciferol (vitamin D2): derived from the fungal sterol, ergosterol, and found naturally in sun-dried, shiitake mushrooms. Both forms of vitamin D are used in the fortification of foods and in vitamin D supplements. There is dispute among experts regarding the optimal vitamin D level. That said, one highly valued professional society—the Institute of Medicine—recommends maintaining a vitamin D level above 20ng/mL. This level may need to be higher (i.e., above 30ng/mL) in older adults who are a greater risk for falls and bone breaks (fractures), or for people with other medical conditions. Low sunlight exposure is also a concern for vitamin D deficiency, especially those who reside in nursing homes or who live in geographical regions with little daylight. There may be a link between headaches and vitamin D deficiency. In one small study in Headache, an analysis was done on eight patients with both vitamin D deficiency and chronic tension-type headaches. All the patients in the study had very low vitamin D levels (25-hydroxyvitamin D levels <10ng/mL), and had little to no relief of their headache with conventional drugs. The patients were supplemented with daily vitamin D (1000-1500IU) and calcium (1000mg) and obtained headache relief within a few weeks of therapy. The researchers felt that the headache relief experienced by the participants was attributed to the vitamin D supplements and not the calcium supplements. They explained that calcium levels typically return to normal within a week, but the patients did not feel relief of their headache for four to six weeks, which is when their vitamin D levels started returning to normal. In another study in The Journal of Headache Pain, researchers found that with increasing latitude (moving closer to the North and South Pole and farther away from the equator), the prevalence of headaches, both migraines and tension-type headaches, increased. As you may already know, the increase in latitude (or the farther you get from the equator) correlates with less intense and a shorter duration of sunlight. With less sunlight, there is less vitamin D absorption, so presumably lower levels overall. 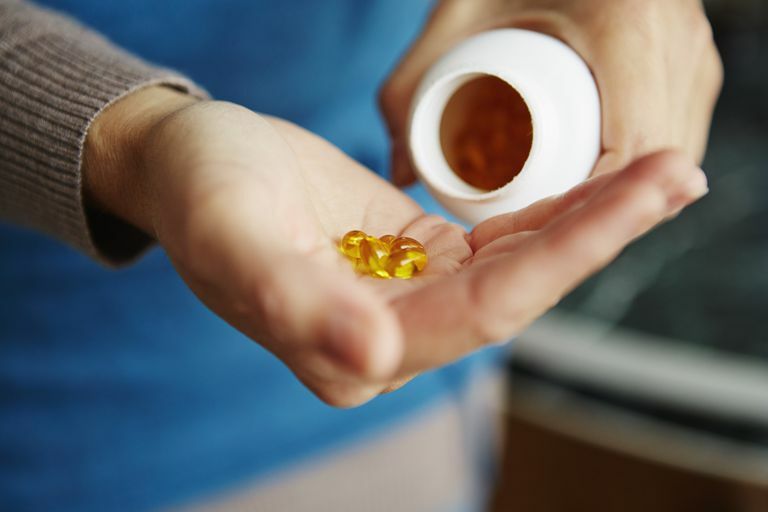 The "why" behind this potential link between vitamin D deficiency and headaches is unclear. One possibility is that low vitamin D levels promote bone pain and swelling, which may lead to sensitization of the nervous system. Another possibility is that since vitamin D is needed for magnesium absorption, a low vitamin D level may promote a magnesium deficiency—and we know that magnesium deficiency has been associated with the development of tension-type headaches. Lastly, in a third study, vitamin D levels and symptoms were evaluated in 100 adults with chronic tension-type headache and 100 matched healthy controls. The study found that those with chronic tension-type headaches were significantly more likely to be vitamin D deficient and more likely to experience muscle and bone tenderness. Remember that a link or association does not mean that one causes the other. The big picture here is that low vitamin D may contribute to chronic head pain. More studies, especially large randomized controlled trials, are needed to better articulate this relationship. In order to prevent vitamin D deficiency, the Institute of Medicine recommends that adults through the age of 70 years have a dietary intake of 600IU vitamin D per day. The Recommended Dietary Allowance (RDA) for adults over the age of 70 is 800IU. Keep in mind, though, your vitamin D requirement may be different from someone else's, based on your unique risk factors and baseline vitamin D level. Therefore, it's important to discuss your vitamin D treatment plan with your personal doctor. Being aware of the potential association between headaches and vitamin D will make you a more informed patient. Consider discussing your physician's opinion on vitamin D or other alternative therapies for your headaches, especially if they are not improving with your current regimen. Dawson-Huges B. (2018). Vitamin D deficiency in adults: Definition, clinical manifestations, and treatment. Drezner MK, Rosen CJ, ed. UpToDate. Waltham, MA: UpToDate Inc.
Prakash S, Rathore C, Makwana P, Dave A, Joshi J, Parekh H. Vitamin D Deficiency in Patients With Chronic Tension-Type Headache: A Case-Control Study. Headache. 2017 Jul;57(7):1096-1108. doi: 10.1111/head.13096. Prakash, S. Shah ND. Chronic tension-type headache with vitamin D deficiency: casual or causal association?Headache.. 2009;49(8):1214-22. doi: 10.1111/j.1526-4610.2009.01483.x.